The surgical team at Fort Duncan Regional Medical Center has a wealth of experience in using advanced tools and minimally invasive techniques that can help make surgery and recovery easier for patients. Highly trained surgeons offer comprehensive care for the treatment of a variety of diseases and conditions. General surgery includes management of the most common ailments including treatment of simple and complex hernias; the treatment of gastrointestinal problems such as peptic ulcer disease, colon cancer, anorectal disorders, hemorrhoids, and inflammatory bowel disease; diseases of the gallbladder, pancreas and liver; endocrine problems, benign and malignant disease of the breast; and swallowing disorders. Individuals within the division of general surgery have established national as well as international reputations. Vascular surgery is dedicated to care for patients with disorders of the circulatory system. These disorders fall into two broad general disease processes known as atherosclerosis and thrombophlebitis, which affect the arterial and venous systems respectively. In the past decade there have been numerous diagnostic and surgical technological advances such as ultrasound enhancement, angioplasty, stenting devices, endoluminal bypasses and improved imaging techniques. The vascular disease process involves multiple systems of the body. As such, the care of the vascular patient requires the combined efforts of the surgeon, radiologist, internist and other medical professionals. 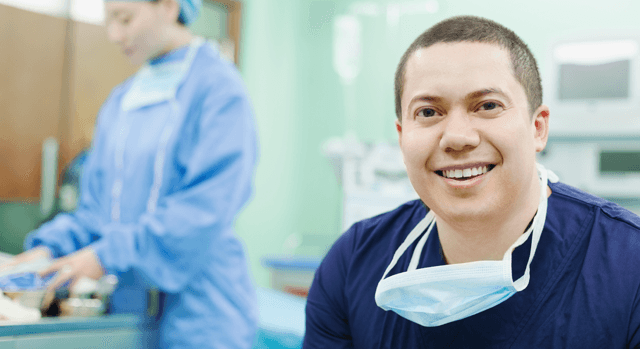 Fort Duncan Regional Medical Center offers ambulatory surgery as well, which focuses on same-day surgical care including preventative and diagnostic procedures.